Earn minimum $50 per online hour 7am – 9:59am Mon – Fri this week! 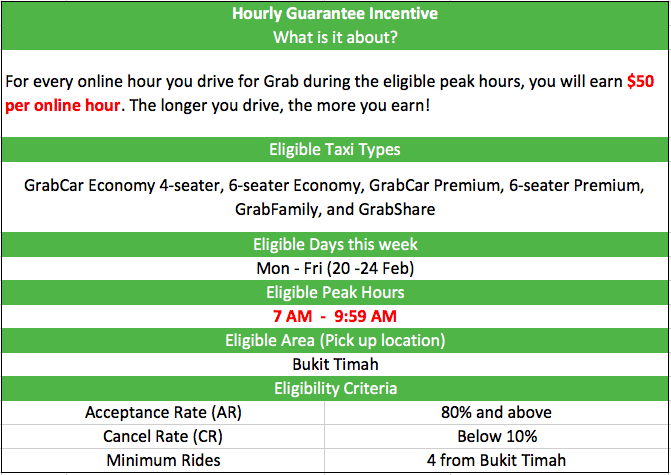 From 7am – 9:59am Mon to Fri this week (20 Feb to 24 Feb),drive as much as you can on Grab and you will earn $50 per online hour! ! The longer you drive, the more you earn in guaranteed fares! Mr. Tan drove on 23rd Feb from 7:30am to 9:59 am. Whilst driving, he took some breaks, so the total online hours he completed was 2 hours instead of 2.5 hours. 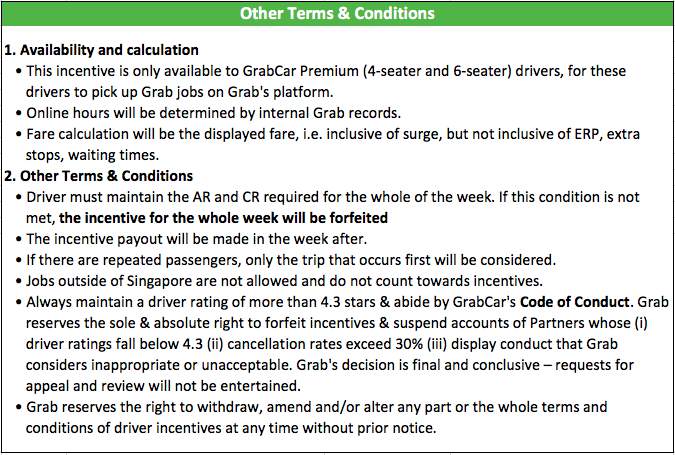 During this time, he completed 1 GC Premium trips (total fare $25) and 3 GC Economy trips (total fares $35, inclusive of surge pricing) from Bukit Timah and 1 job from CBD. He has fulfilled the minimum rides requirement as he completed 4 jobs from Bukit Timah.